I love to photograph silhouettes in nature, particularly in landscapes, but I rarely get a chance to make a great silhouette image using wildlife. Given the challenge with shooting wildlife silhouettes, I was particularly pleased when I managed to pull this image together. The trick is that this really isn't as much a silhouette as it is a photograph of black birds call Ibis. They had been flying in formation and I cropped the photo to focus on this group. 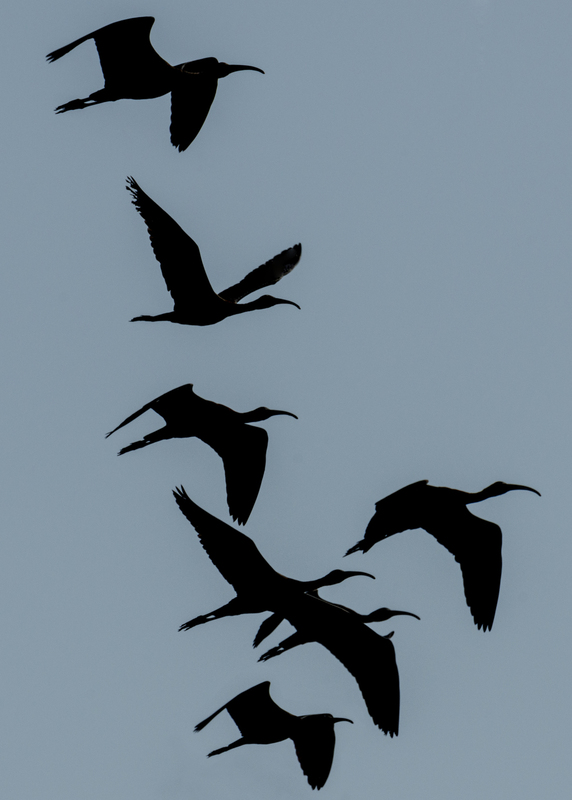 I liked these birds because their wings were all oriented differently and the composition was graceful and pleasing. Sometimes nature gives me something particularly interesting or unusual and I always try to capture those moments and their unique beauty.